Are you in Nigeria and you have been looking for how to check 9mobile tariff plan you are using ? Don’t worry this post will show you the USSD code which will help you check your current tariff plan on 9mobile. With the way new tariff plans are released by 9mobile on regular basis, customers kept migrating from one tariff plan to another in search of one bonus or the other. And at a time you will feel like to know your current or active 9Mobile call tariff plan but you just don’t know how to check it. So for that, I compiled this post to meet up with your demand on how to know your active data plan on 9mobile. Dial *200*1*6# to check active call plan on 9Mobile. Then press 6 to Check Package. 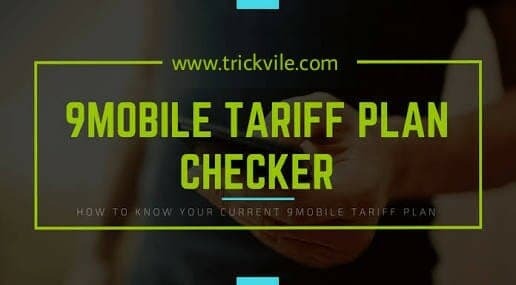 If you followed steps above as directed, your current tariff plan will be displayed to your screen.